Bizarre events begin to occur the following day, such as glasses and utensils that spontaneously break or bend and furniture that moves on its own accord. The phenomena seem benign at first, but quickly begin to intensify. That night, a gnarled backyard tree becomes animated and grabs Robbie through the bedroom window. While Diane and Steven rescue Robbie, Carol Anne is sucked through a portal in her closet. The Freelings realize she has been taken when they hear her voice emanating from a television set. A group of parapsychologists from UC Irvine—Dr. Lesh, Ryan and Marty—come to the Freeling house to investigate and determine that the Freelings are experiencing a poltergeist intrusion. They discover that the disturbances involve more than just one ghost. Steven also finds out in an exchange with his boss, Lewis Teague, that Cuesta Verde is built where a cemetery was once located. After Dana and Robbie are sent away for their safety, Dr. Lesh and Ryan call in Tangina Barrons, a spiritual medium. Tangina states that the spirits are lingering in a different “sphere of consciousness” and are not at rest. Attracted to Carol Anne’s life force, the spirits are distracted from the real “Light” that has come for them. Tangina then adds that among the ghosts inhabiting the house, there is also a demon known as the “Beast”, who has Carol Anne under restraint in an effort to manipulate the other spirits. 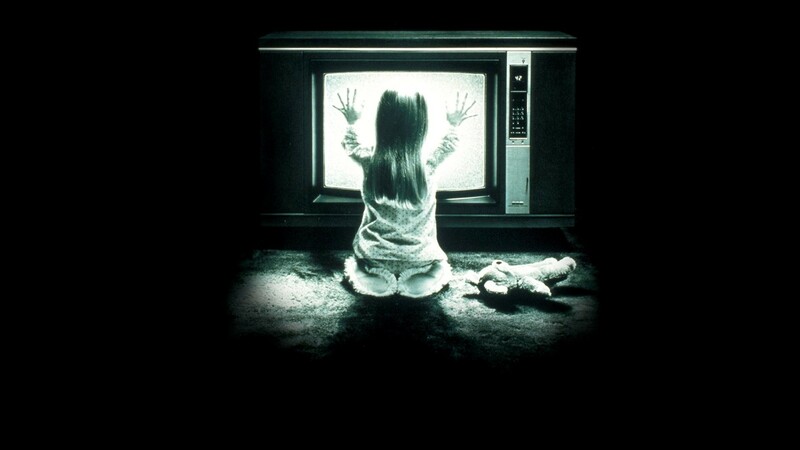 “Poltergeist” is the best haunted house horror movie that I’ve ever seen. It is scary as hell (Robbie getting attacked by the tree outside his bedroom window still gives me chills) and the performances are all spot on. If the effects feel a bit dated (the “melted face” is no longer scary, it’s laughable), it only adds to the film’s charm. This is just about the best you can expect from an old fashioned style horror movie that relies on creativity rather than gore to sell its scary story. From beginning to end everything here works and works perfectly. Hopefully Hollywood doesn’t mess things up with a remake. It would be another kind of nightmare…and not the good kind.